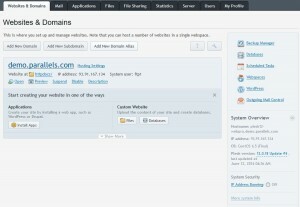 Web Mail (Create and manage email accounts associated with your domains. For each email account, you can set up a mailbox). Applications: with dozen of free or commercial Web Applications (blog, eCommerce, CM, Forums, Gallery, etc.). Applications packaged in APS format only require several clicks to be installed on your websites. Web Files Managers and Files Sharing. Statistics (Web Statistics, Data Transfer Statistics and Ftp Statistics). Many Option to Start website Backup. Plesk Extensions (Many Useful Extension to make everything easier, more powerful and Secure). Security Core* with ModSecurity Rules by Atomicorp (Built-in Server-to-Site Protection). ServerShield™ by CloudFlare (Automatically block hackers, spammers, and DDoS attacks). Outbound Antispam (Plesk 12 protects your server’s IP address from being blacklisted with adjustable, outbound anti-spam controls). Stop malicious scripts that send email spam from your server. Plesk adds a host of other Linux distributions to the list, in addition to Windows support. 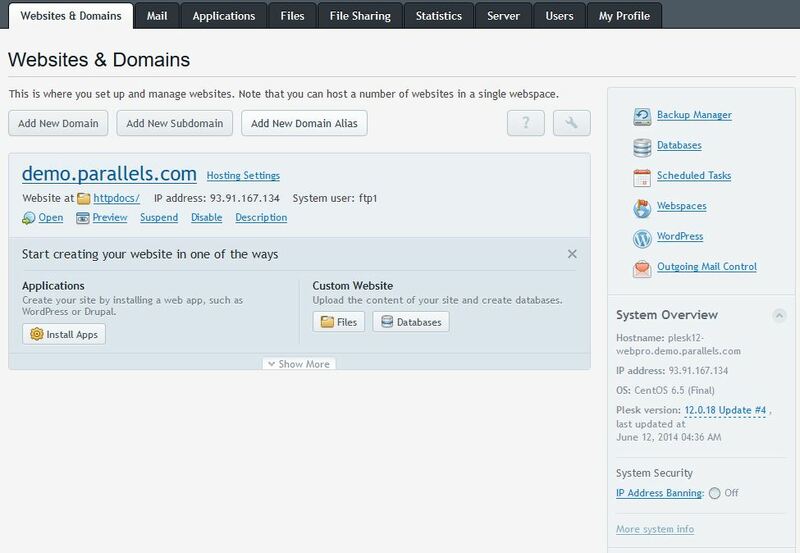 B.1-Plesk for Linux uses the Apache HTTP Server (http://httpd.apache.org/) for hosting websites, Apache itself does not operate with websites; it manages virtual hosts – web resources identified either by an IP address or a host name. When you create a site, Plesk adds a new virtual host to Apache so that the site becomes available through the web server. As will as cPanel had the same features on run SQL, Php etc.